JOIN FREE FOR 1 MONTH! 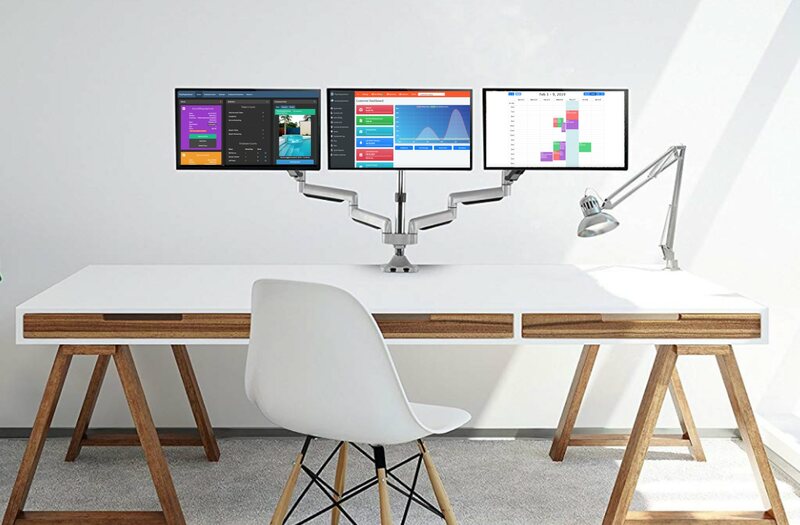 Being a power user has never been so easy! Manage your routes, employees, billing, collections, and repairs like a pro! Online Invoicing & Online Payments Included! 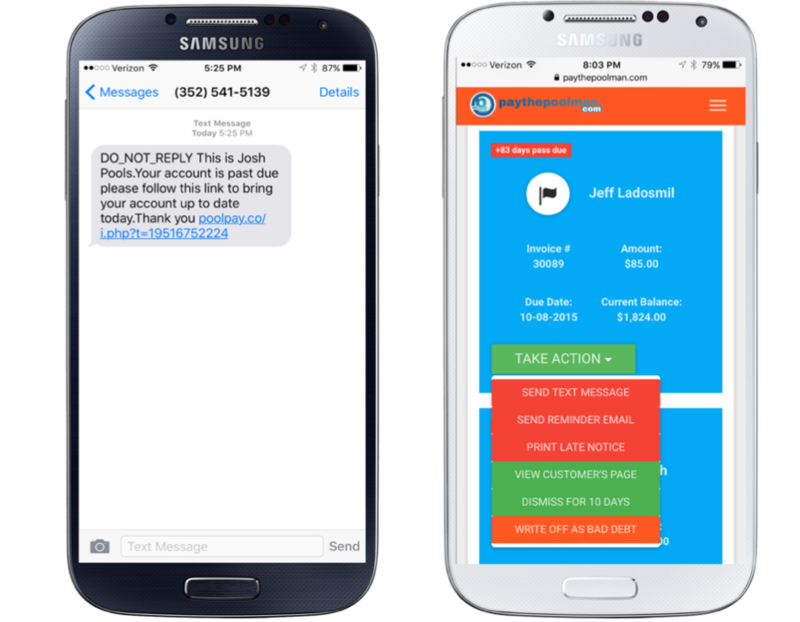 Customers receive their invoices instantly! 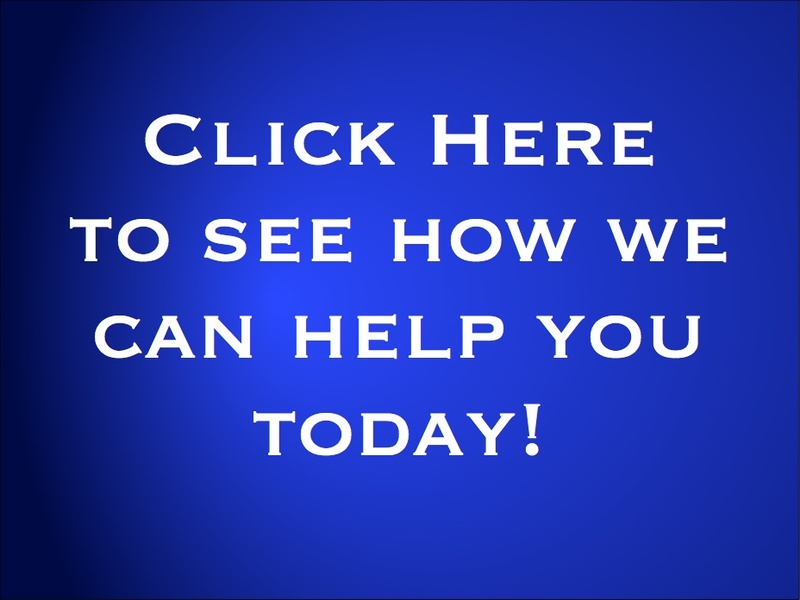 You collect online payments within minutes of signing up! Run Your Billing in Minutes! Update customer information and more! Dealing with Late Customer's have never been so easy! Stop waiting for approvals on your bids. The customer can approve your bid while they are at work, or at the mall or even at their kids soccer game using their phone. You will receive a email with their signature for approval and their contact info to easily schedule the work. 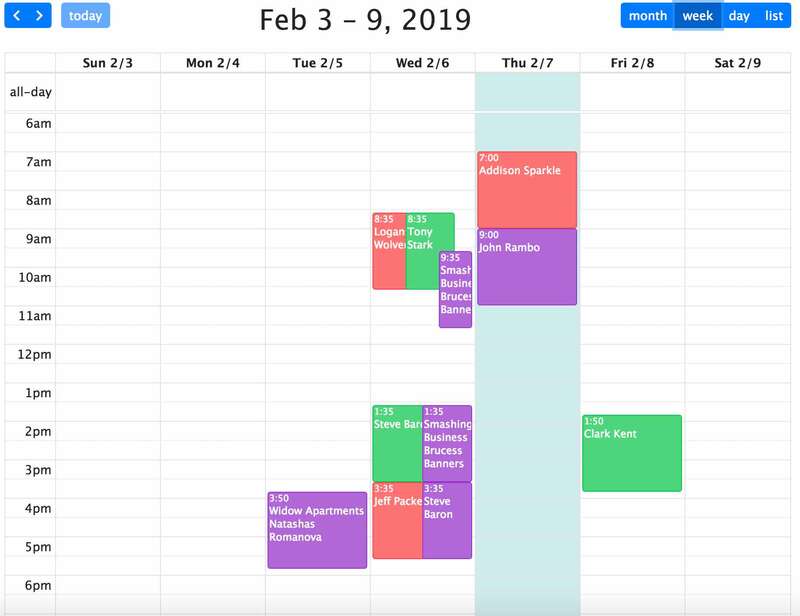 Do you have repairs to schedule? Easily schedule repairs and keep track of up to 20 employees completing repairs. It's so easy! 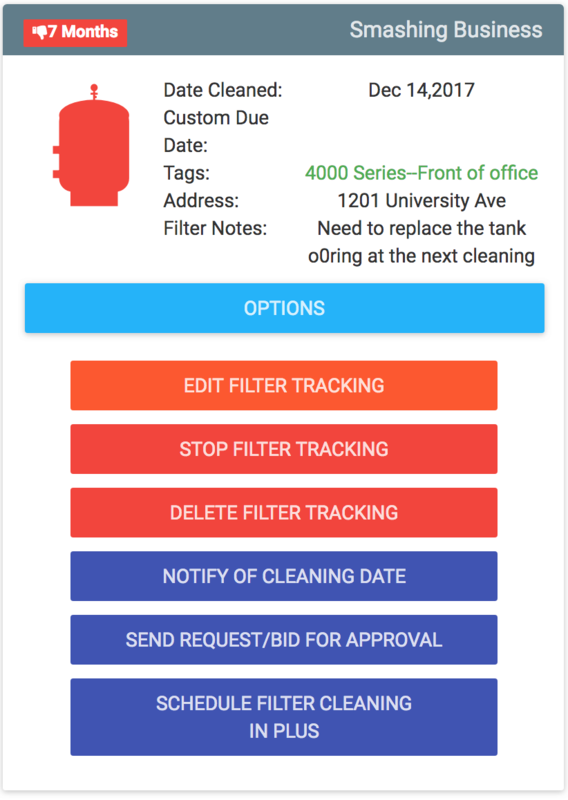 Stay organized and track when filters are coming due to be cleaned or past due on your dashboard automatically. 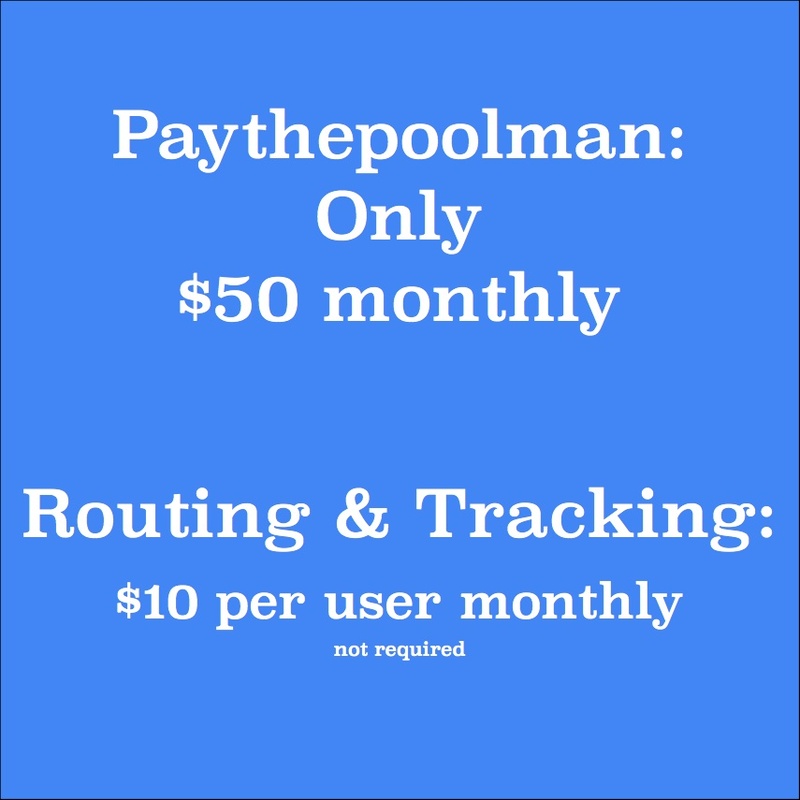 Let Paythepoolman do the work for you. 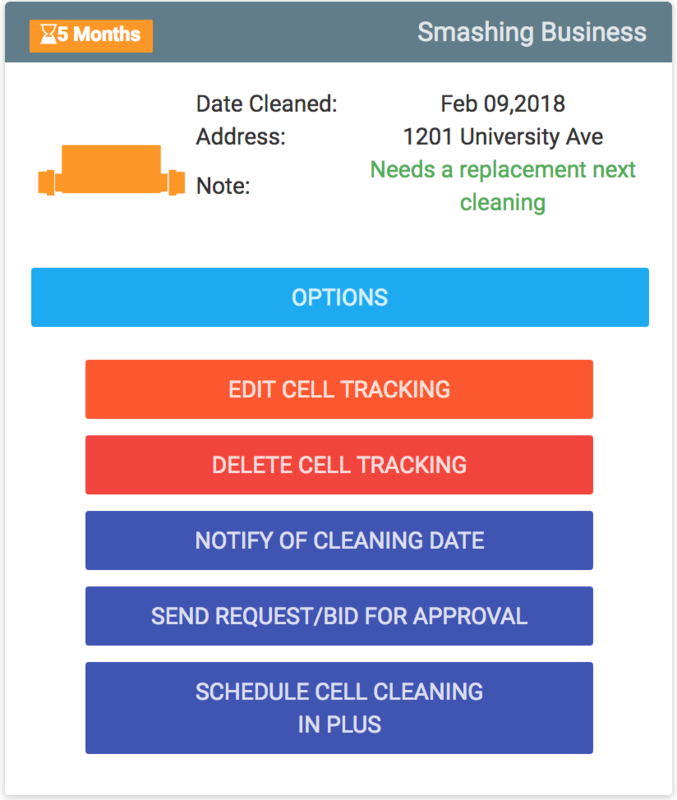 Dont miss a salt cell cleaning again with automatic tracking in Paythepoolman. What size pipe do you need? What Horsepower was that motor? What was that Cartridge number? Can't remember your Customer's name? We have you covered just start typing anypart of your Customer's Address into our search box and we will help you find them. You can also search by name. Send a quick, professional email to all of your customers with a few clicks of a button! When it comes to having Employee's you want to be efficient as possible while providing excellent service. No reason to stop your testing and do the calculations we got you covered. 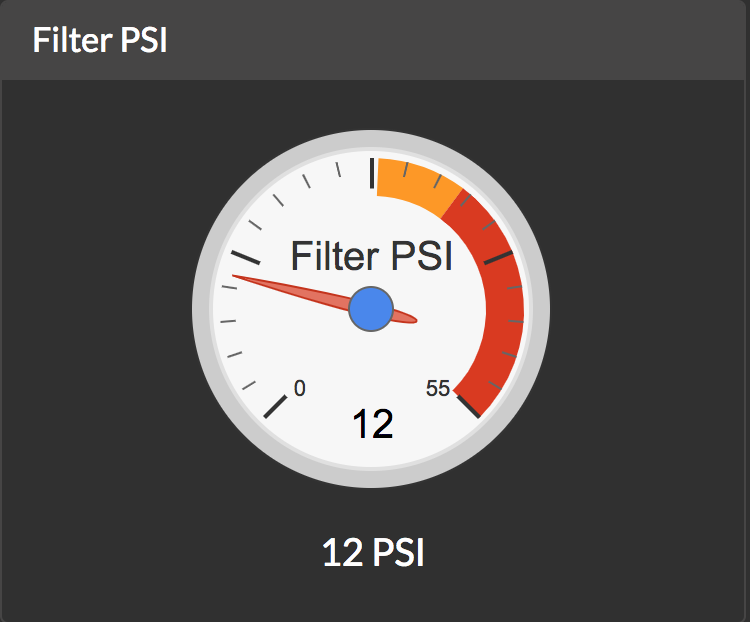 Quickly lookup filter readings that were recorded during a service stop. 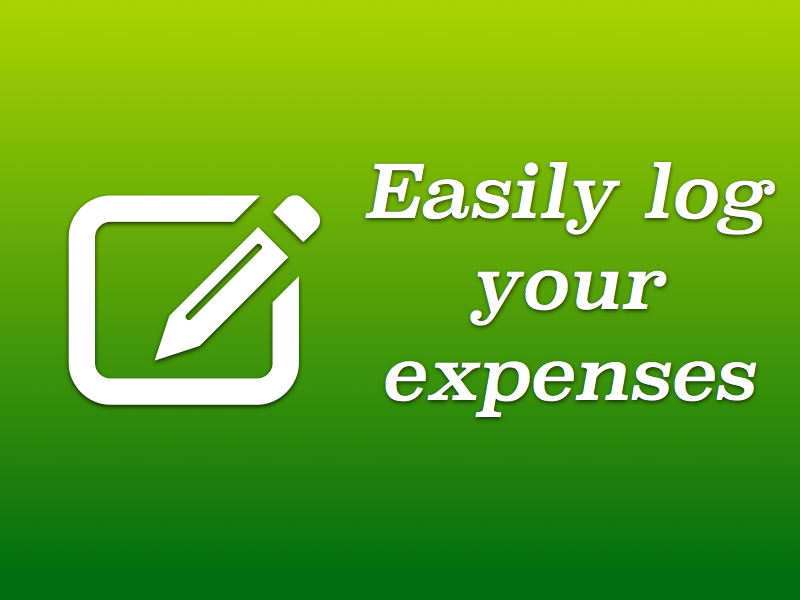 Log expenses whether your in the field, office or another state! 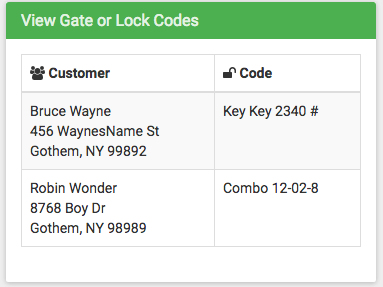 We've made it easy for you to bring your customer information to paythepoolman.com! No need to download or backup!! We've got you covered! 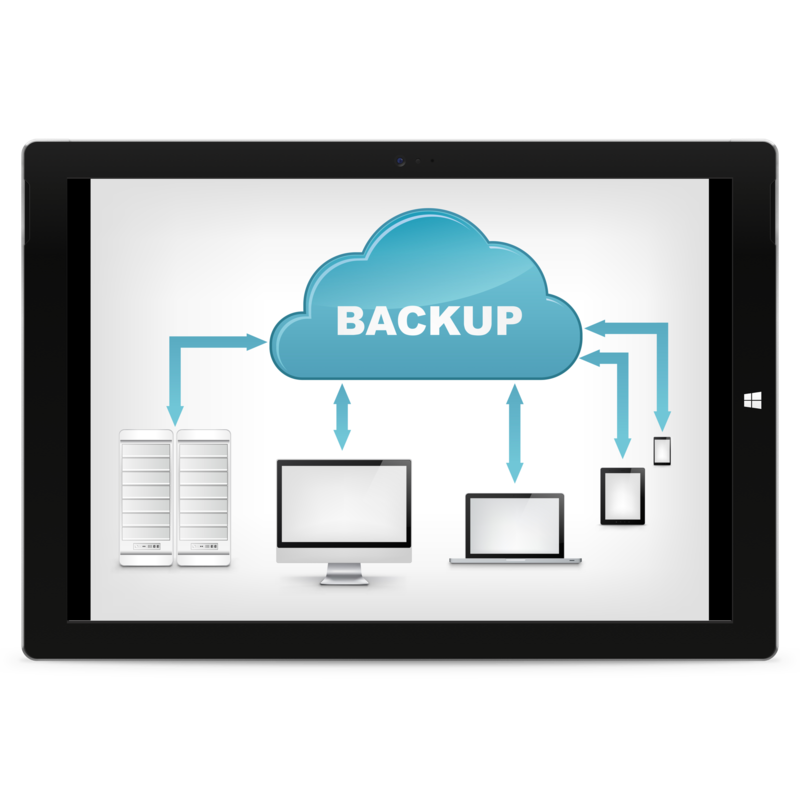 Our Cloud based software allows you access to your accounts from any device that connects to the internet. No wait time or updates required! You can complete your billing while on vacation, sitting on the couch, or anywhere you need to be. It's always accessible!! 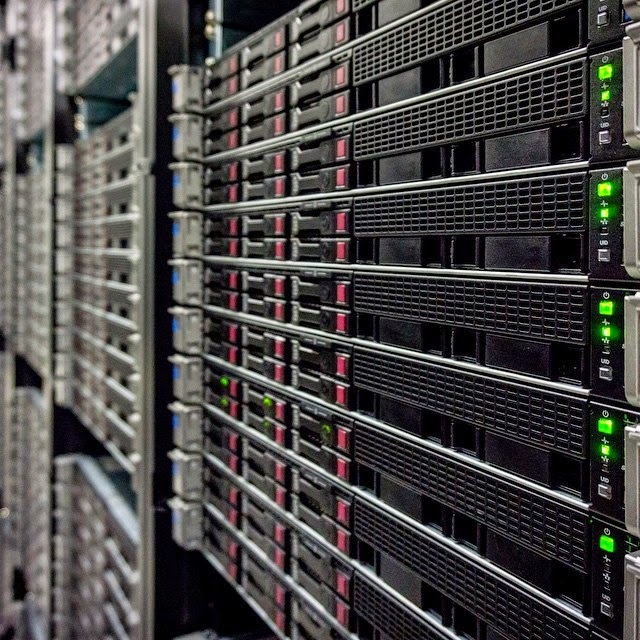 From San Francisco to New York, our servers keep paythepoolman.com running and backed up. 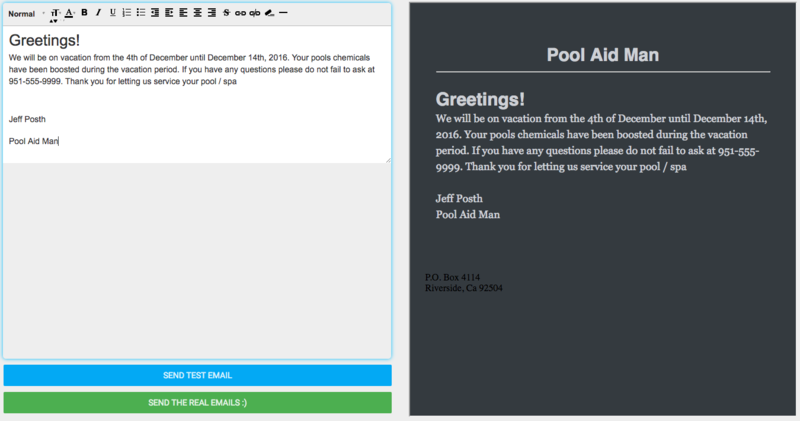 Paythepoolman.com is fast and reliable! Your text goes through at no cost to you! Save more time! Sign up now! 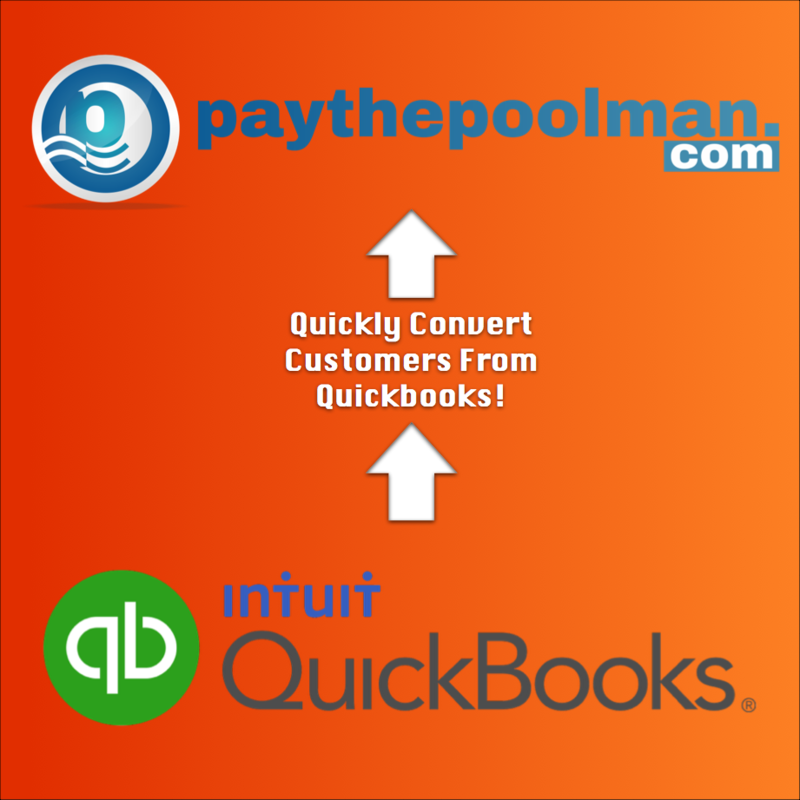 Paythepoolman.com knows your invoicing and record keeping needs. Created and managed by a pool man with over 13 years of experience in the business, we are dedicated to providing software designed to work for you! 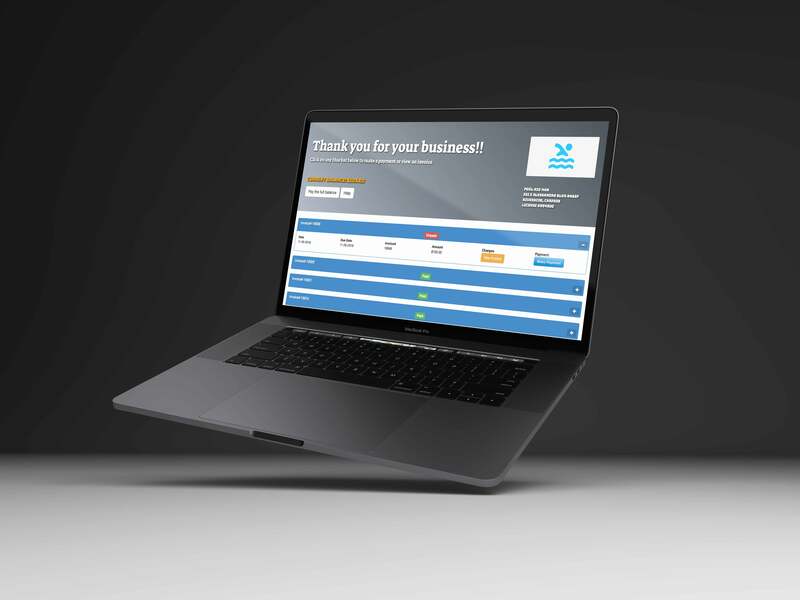 Unlike other invoicing companies, Paythepoolman.com provides simple solutions for all your billing software frustrations. Get started today!! Your contact message has been sent. Our hours of operation are from 6am-5pm Pacific time Monday-Thursday and 6am-4pm Pacific time on Fridays. We will get back with you regarding your email as soon as possible, If you are emailing during the weekend we will respond first thing on Monday. Thank you. Have a great day!